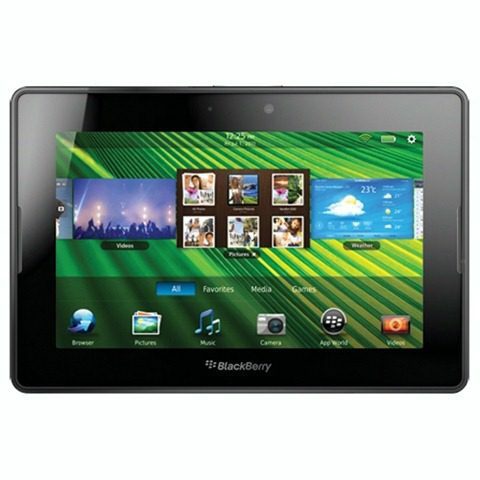 Special BlackBerry PlayBook one-day sale for $104 today only at CowBoom.com. The 16Gb WiFi version of the BlackBerry PlayBook also comes with 1GB RAM, 1080p cameras and can be upgraded to the new BlackBerry 10 operating system when it is released in a month. RIM (Research In Motion), the makers of the BlackBerry PlayBook, have seen a rough couple of years as they’ve watched their market share in the United States dwindle significantly with the emergence of the Apple iPhone and iPad. Their new BlackBerry 10 operating system has been widely reviewed and tested, getting great marks from all the reviewers. It has been better received than Microsoft’s Windows 8 operating system. The sale has a catch that everyone should be aware of. The BlackBerry PlayBooks in this special one-day sale are only $104 because they are all refurbished models – previously owned (the sale link is here: http://www.cowboom.com/deal-of-the-day.cfm). The good thing is that CowBoom is a Best Buy brand and the BlackBerry PlayBook comes with a 30-day no hassle money back guarantee on every purchase. So if the BlackBerry PlayBook has unacceptable cosmetic flaws on delivery, it should be easy to get a refund (or exchange). A BlackBerry PlayBook is on sale today only and the price includes shipping – brand new BlackBerry Playbooks with the same features are on sale for $169 at Amazon.com. Original retail price of this BlackBerry PlayBook was $499. Are you interested in taking a chance on the new BlackBerry 10 operating system? Let me know in the comments below!